One of my goals for this site is to put the spotlight on creative people doing great things. I'm really excited to do that for the first time this week. I'm also doing my first ever giveaway, which you can learn more about at the end of the post. My most amazing experience since starting this blog was hearing from several fellow pen and paper enthusiasts who also happen to be adoptive parents in response to my "A Pen Geek in Seoul" post. I met Grace, the subject of my first creator Q&A, the exact opposite way. We got to know each other through the shared experience of being adoptive parents and then later discovered that we're both into pens and paper. And unlike me, Grace actually knows how to use her pens. She runs a great Etsy storefront called "Waiting with Grace" where she offers a variety of hand lettered goods. I'm Grace, wife, momma, teacher, and hand lettering enthusiast. By day, I teach Kindergarten, and by night I hang out with my two main dudes: my husband and my 4-year-old son. We also have a lovable, but slightly neurotic, dog who keeps us on our toes. I originally hail from the glorious state of New Jersey, but now live outside of Washington, DC. 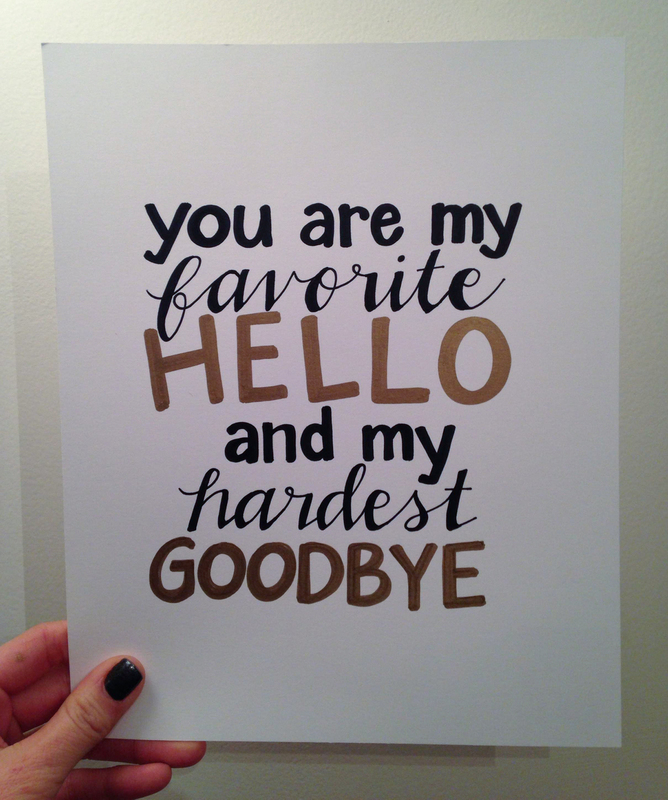 When did you first start hand lettering? I've always loved handwriting and joke that it is the only subject I ever got straight A+s in throughout elementary school. While I always had neat handwriting, as I got a little older, I began playing around with "creating" different fonts (as much as a 9-year-old can create fonts on notebook paper). 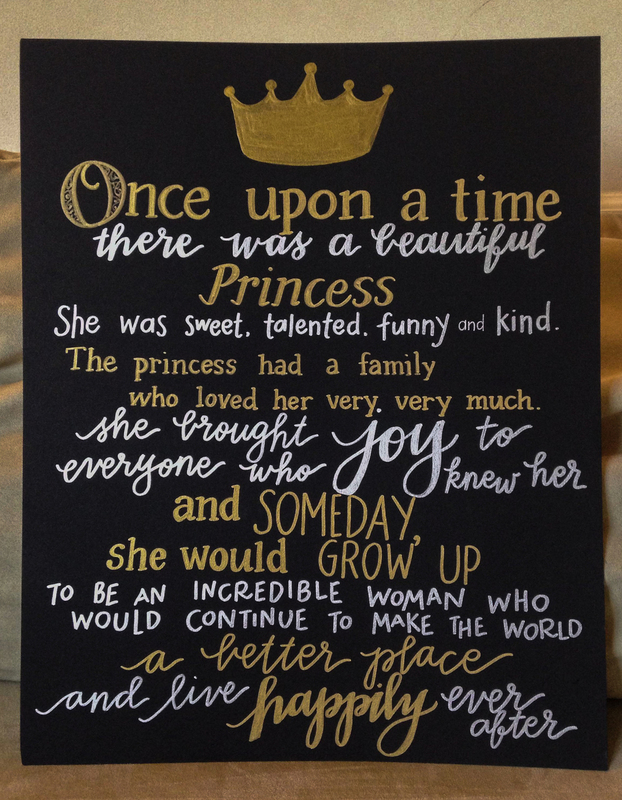 Hand lettering became my form of doodling, and where my friends were doodling horses or girls in dresses, I spent time writing my name in numerous different ways and fonts. If anyone ever looked through my notebooks, they probably would have thought I was the vainest child ever! Are you self-taught, or have you taken classes along the way? I'm completely self-taught, and my "techniques" would probably drive an actual, professional hand letterer or typographer bonkers. I find that if I spend too long trying to perfect my lines and proportions, I get frustrated and my lettering comes out looking far from perfect anyway. I usually freehand a lot of my work, and though it might not be perfect, I feel that it turns out more true to my personal style. How long has your Etsy shop been up and running? I opened up my shop in October 2010. What is the origin of the “Waiting with Grace” name? I chose the name waiting with grace because my crafting binge came out of trying to keep myself busy during the extended wait in our international adoption process as we waited for our son to come home from Korea. The phrase has a double meaning because as I made projects for others, it was as if they were waiting with me, Grace. And as I kept myself busy during the wait, I learned to wait with grace and patience and a grateful heart. Our son came home in December 2010, and he is an absolutely joy! We are now in process to bring home a little sister and are back to waiting yet again...and we do hope we can endure this second wait with grace and patience! What types of items do you typically apply lettering to? I typically letter notebooks and have recently branched out into lettering prints and signs. I also paint name canvases for nurseries. Looking back on the projects that you’ve worked on, do you have a favorite? 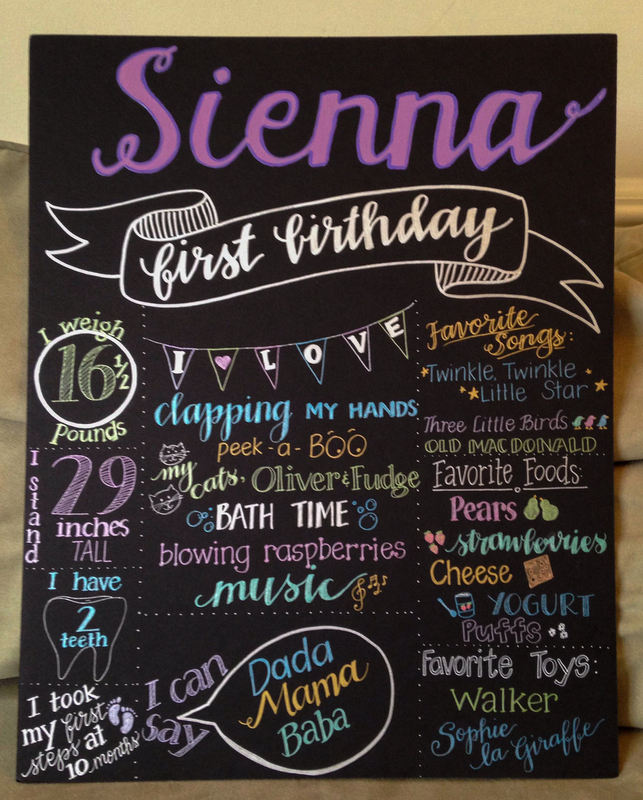 Lately, I've been doing a lot of chalkboard-style birthday signs for babies. They've been a lot of fun to work on because each birthday board is different and allows me to try new styles of lettering and draw different doodles to go along with them. What’s your favorite everyday pen? Depending on the paper I'm using, it's a toss up between Sharpie pens and the Pilot Precise V7 Rolling Ball pen. And, if I'm allowed to throw in a third (that's not actually a pen), it would be the Sharpie ultra fine point marker – they are the best for writing on greeting cards! Blank, lined, grid, or dots? My thanks to Grace for helping me break the ice on my creator spotlight series. To celebrate, I am going to select two (2) lucky winners to receive a "Waiting with Grace" custom hand lettered notebook. All you need to do to enter is complete the simple entry form below. On July 14, 2014, I will draw two winners using a random number generator. I'll supply a Clairfontaine Life. Unplugged 5 3/4 x 8 1/4 notebook to each winner in their choice of black or tan. 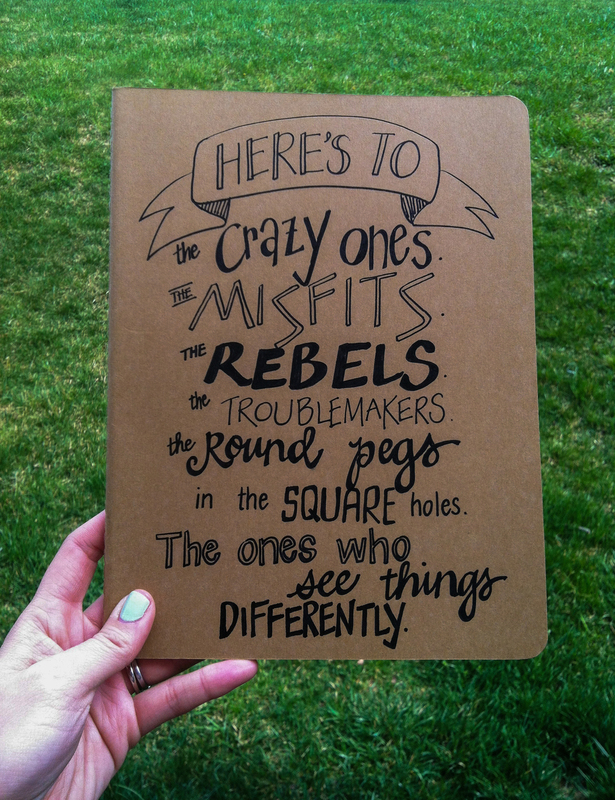 Grace will customize the notebook with a hand lettered design that is mutually agreed to by her and each winner. I will make every effort to accomodate international shipping situations, but I reserve the right to substitute a locally sourced item of comparable value if shipping costs are bananas. All fields below are set to optional, but I need at least an e-mail address or actively monitored Twitter handle to make it work. One entry per person, and other flavors of common sense apply. The giveaway has now concluded. Thanks to those who participated. Good luck, and be sure to check out "Waiting with Grace" on Etsy.